And a welcome to your little treasure. What a wonderful way to start people! 'Til the day that I found you. A joy for just us two. But today has proved me wrong. Is the crescendo to our song. Is more than words can say. Will fill your years with laughter and your lives with lots of love. Bring you so much pleasure. cause You were just a small bump unborn for four months then torn from life. cause You were just a small bump, then born, but torn from life. That before you've never known. They can cut you like a knife. And call you no matter where or when. They have become Oh so very dear! 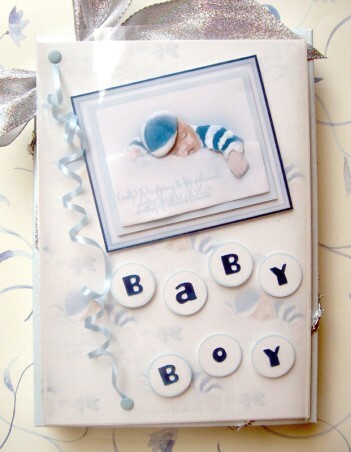 We'd like to meet your new baby boy! But you waited till we wed.
Till you started all the fuss. See everyone and take a bow! And our brains went numb. There's no more to say. From Grandma and your Grandad. And on the door of success you will knock. Full of love that will never part. You proudly announce the birth of your son. Hope and joy keep harm at bay. May their spirit never get old. Looking down at a cute little nose. Let me have a little peek. She's already in a pose. All of us get it I suppose. It won't feel like a duty. But how could I know? To you, baby boy or baby girl. Of joy and laughter every day. Tiny fingers, tiny toes, little itty bitty clothes. I never dreamt that you'd be mine. On the wonderful birth of our baby. My beautiful grandchild, welcome to the world. HOURS: 24 hours a day, 365 days a year. No time off for weekends or holidays. DUTIES: Total responsibility for another human being. A soft hand strok’d it as I went by. Whence that three-corner’d smile of bliss? From the same box as the cherubs’ wings. Where did you get that smile of bliss? An angel gave me a tender kiss. Where did you get your feet, the darling things? But how did you come to us, my dear? Practice feeding a 12-month-old baby. Hollow out a melon. Make a small hole in the side. Suspend it from the ceiling and swing it from side to side. Now get a bowl of soggy Weetabix and attempt to spoon it into the swaying melon by pretending to be an aeroplane. Continue until half the Weetabix is gone. Tip the rest into your lap, making sure that a lot of it falls on the floor. Babies are life's most precious gifts. A baby is a bit of stardust blown from the hand of God! Babies are blessings sent from above.